In “Helium Heels,” the author brings together the entire barnyard gang for another interesting adventure full of fun and mischief. Shelley’s unique adventure is a wonderful way to spark the little ones’ imaginations and inspire them with a sense of fun and playfulness. Dr. E. Dorinda Shelley will surely delight her young readers as she opens up a new and exciting journey featuring Little Black Hen, her ghost babies, and everyone else living in the barnyard. This delightful adventure comes with new lessons that the little ones can keep. Shelley teams up with her illustrator, Eleanor A. Hutton, to bring every part of the story to life through her colorful illustrations. 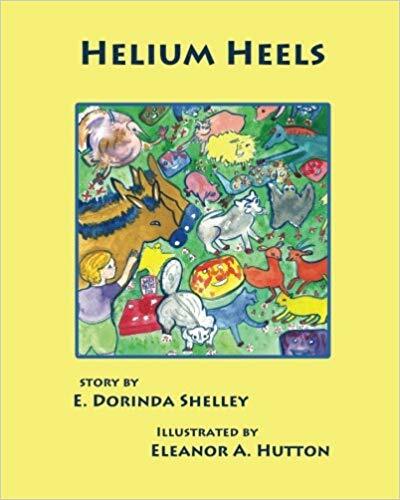 The third in Shelley’s “Helium” series, “Helium Heels” brings all the fun and mischief back into the barnyard. The story begins when Little Black Hen is determined to keep her sweet ghost babies out of trouble. However, these babies are still out to play tricks on their fellow barnyard friends. The sleeping donkeys are the latest victims of their pranks. After they put helium paint on their hooves, the donkeys suddenly start floating. This brings mayhem to the entire pasture as all the farm animals end up dancing happily while the donkeys continue to float freely above them. This unique adventure is a wonderful way to spark the little ones’ imaginations and inspire them with a the sense of fun and playfulness. “Helium Heels” will delight an even wider audience as it takes part in the upcoming 2019 London Book Fair New Title Showcase on March 12-14, 2018. Save the date!